What your Apple Mac’s running very slow? it takes much time to open up app after clicking on the App icon? don’t worry about it. Here I will describe important information that might you never heard or learn. Yes, Apple all mac devices like MacBook Pro, MacBook Air, MacBook, iMac, MacMini and other Apple laptops that comes with retina display. These all have a feature that shows all running Apps of Mac. The function called Activity Monitor. Since, if you’re working on macOS Mojave or earlier Mac operating system or you’re Windows users but recently switched on MacOS and having a question regarding how to View All running Apps on macOS Mojave. Though Clear answer is here. 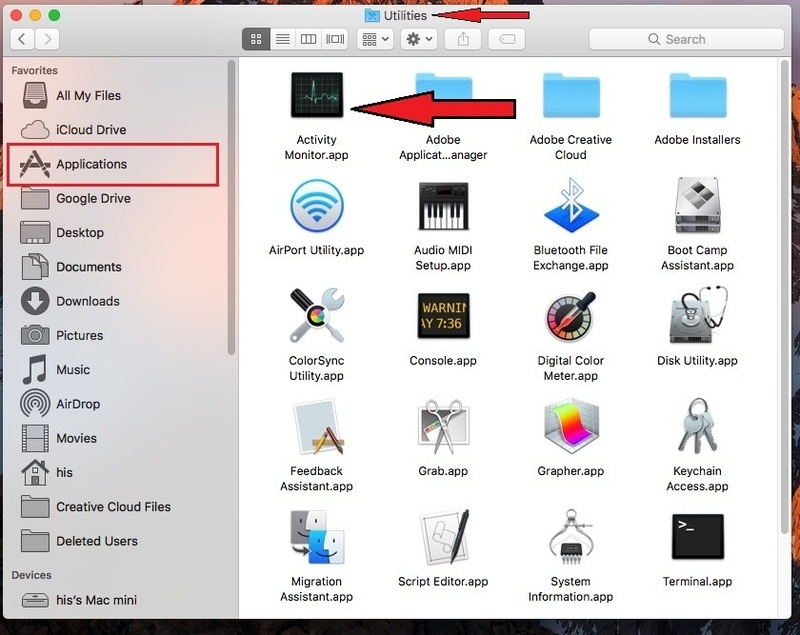 To find or See what programs are running on a Mac for that you have to launch Activity Monitor on Mac. Here, bottom given instructions will help you to reach up to Activity monitor (also called Task manager) Pane on Mac and then View to All Running Apps on Mac. 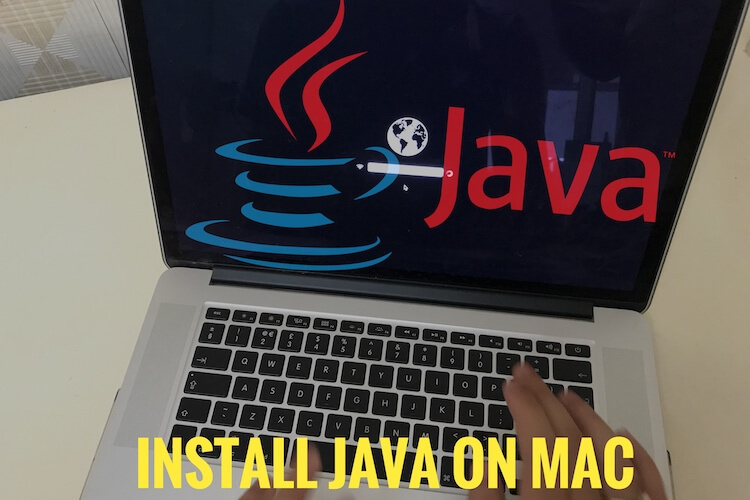 Hope, this post would help you to kill the unnecessary process/ programs on your Mac and it will make your Mac System smooth to running and will remove slow Mac issue concern Mac unresponsive or hanging problem quickly. There little steps to access Activity Monitor on macOS Sierra, EI Capitan and OS X Yosemite which is given beneath. Activity Monitor Window through you can identify which apps consume more space and battery energy. Step 1. Lunch Finder from the dock on your Mac to open a Finder Window. Step 2. Now Click on ‘’Applications’’ on the sidebar of the Finder Window to see Mac’s Applications. Step 3. Click on Utilities – Now Head on Activity Monitor app. So you can see there are five tabs on Activity Monitor Window such as CPU, Memory, Energy, Disk, and Network. The process shown in the Activity monitor can be System Apps used by OS X, or invisible background apps and user apps. We give you a short overview of these five tabs which are we seen above. 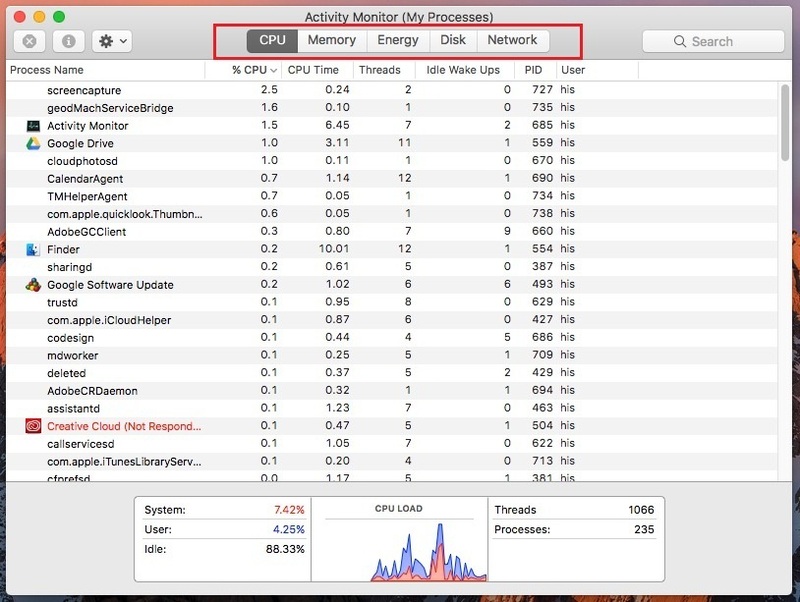 CPU – it shows how processes are affecting your Mac’s CPU (processor) activity. Memory – Do you want to know how memory is being used on your Mac? then Click on Memory tab. Because memory pane shows all the information about it. Energy Tab – Total information about Overall Energy use of Mac and used energy by each app. Disk – The Disk tab shows the amount of data that each process has read from your disk and written to your disk. Network – The Network Pane shows how much data your Mac is sending or receiving over your network. 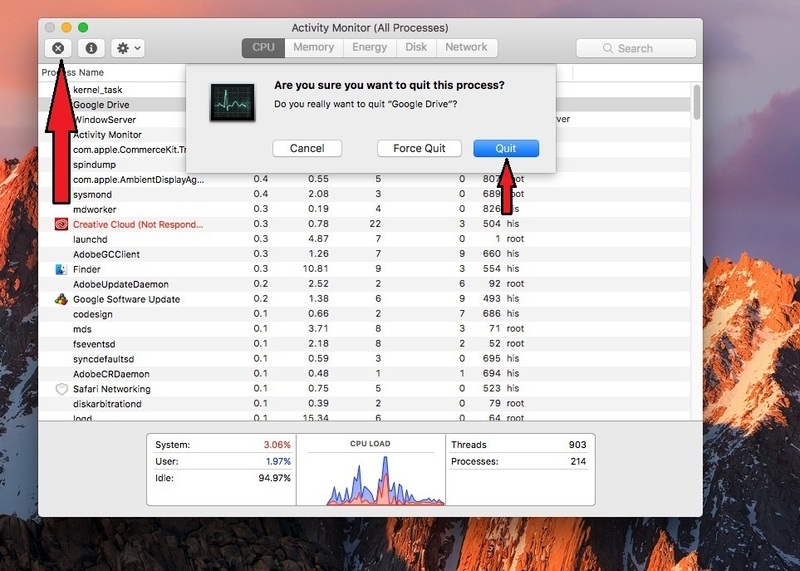 you have to open up Activity monitor as described above then choose a process and tap on X icon to force quit or quite process on your Mac. To get more about View All Running Apps on macOS Sierra then go here.